CPMFITness: What is your CrossFit/Paleo 60 second commerical? What probably annoys me the most about people is when they say "I need to get in better shape to work out at CrossFit." And here's my response... "I don't know a single person who started CrossFit who wasn't gassed, and I've seen every sort of person imaginable start there from gym rats to army guys (and girls), stay at home Mom's, to people that need to lose a significant amount of weight. Absolutely every shape and size. 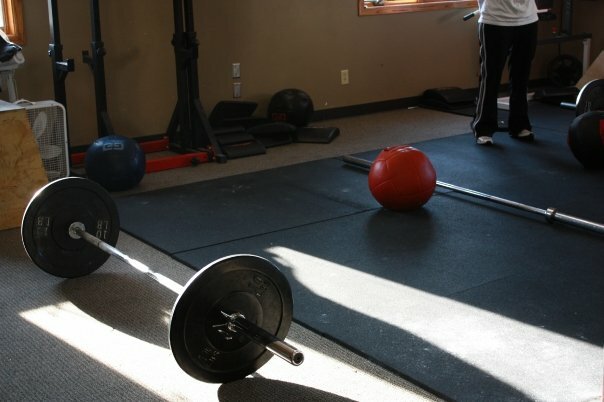 It's just a plain fact of life that Globo gyms don't prepare you for the mental and physical push that CrossFit will. Everybody has to start somewhere and NOW is always the best time to start. Just come and try it out."